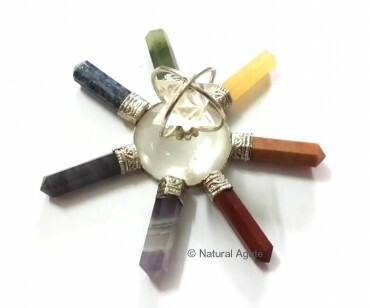 Chakra Energy Generator with Crystal Star makes a beautiful gift. It is full of energy and will keep the user healthy. The energy grid will release immense energy to keep your body chakras active. It is available on Natural Agate.